I’m pretty sure everyone’s tried avocado toast by now, as it’s a dish that seems to have taken the world by storm. I absolutely love the rich creaminess of avocado topped on a tangy slice of sprouted rye, and it’s definitely something I could eat on a daily basis. Usually when I make my avocado toast, I like to add something extra to it for a boost of flavour – whether it’s some different seasonings or a mixture of vegetables. 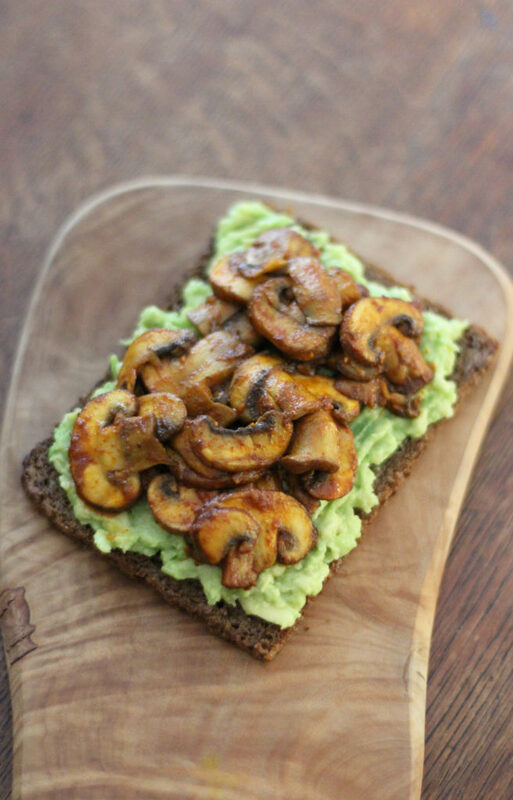 My favourite topping to add to my avocado toast has to be mushrooms, as they taste amazing with avocado. They’re just such a great flavour combination. What I normally do is mash up an avocado, toast some rye bread and stir fry some mushrooms with dairy free butter, turmeric, cayenne, paprika, garlic, salt and pepper. It tastes so amazing, and it’s perfect for a quick, simple lunch, dinner or even breakfast – if you like to eat something spicy in the morning. 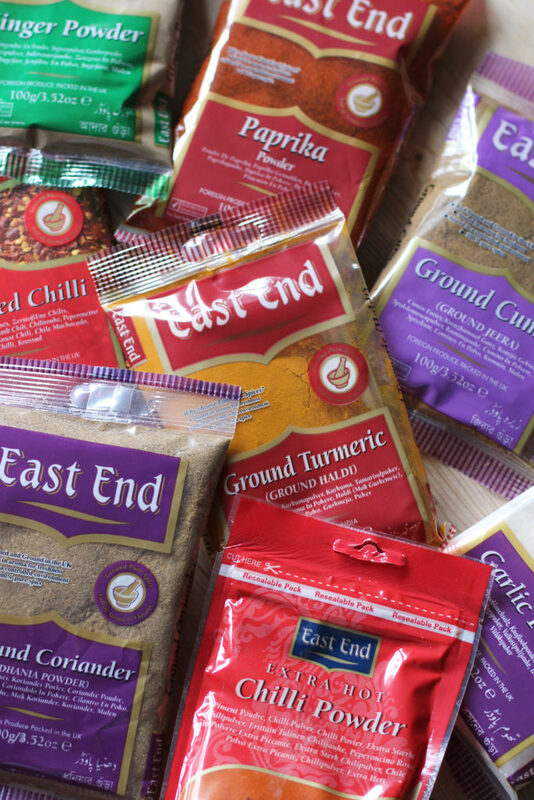 When I stir fry the mushrooms, I always combine them with spices from East End Foods. They’re the best quality spices I’ve ever tried, and they add such an amazing variety of flavours to the mushrooms. 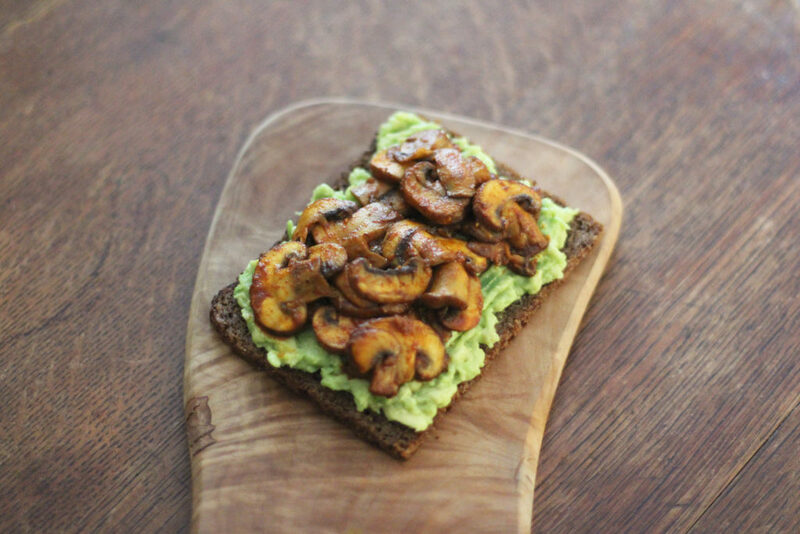 As I recently partnered with East End Foods on a five recipe project featuring their spices, this mushroom avocado toast seemed like the perfect recipe to share featuring their products. This is definitely one of my favourite meals to cook at home, so I really hope you enjoy it! I’ve been making it so often recently, as I’ve had such little time to prepare my meals. I’m nearing the end of my Kundalini Yoga Teacher Training (I can’t believe how quickly the time has gone by!!! ), so I’ve been so busy revising and preparing for my exam in October! Wish me luck! Firstly slice and peel the avocados, then add the flesh into bowl, mash them with a fork into your desired consistency, and set them aside in the fridge. Next, finely slice mushrooms and set them aside. Now, place a frying pan onto a medium heat and add the butter, garlic, paprika, turmeric, salt, pepper and cayenne and fry for 1 minute. Then, add the mushrooms and fry them for 4 more minutes. Remove them from the heat when cooked. Then, add the slices of toast into a toaster to toast. When they are ready, remove the avocado from the fridge and spread it evenly on top of each slice. Then, place a quarter of the mushroom mixture on top of each slice, and serve. That is so good!!! All the spices I love <3 Quality matters when it comes to spices and herbs! This looks fantastic! I am going to make one for the lunch tomorrow! Thank you Angie! I hope you enjoy it! 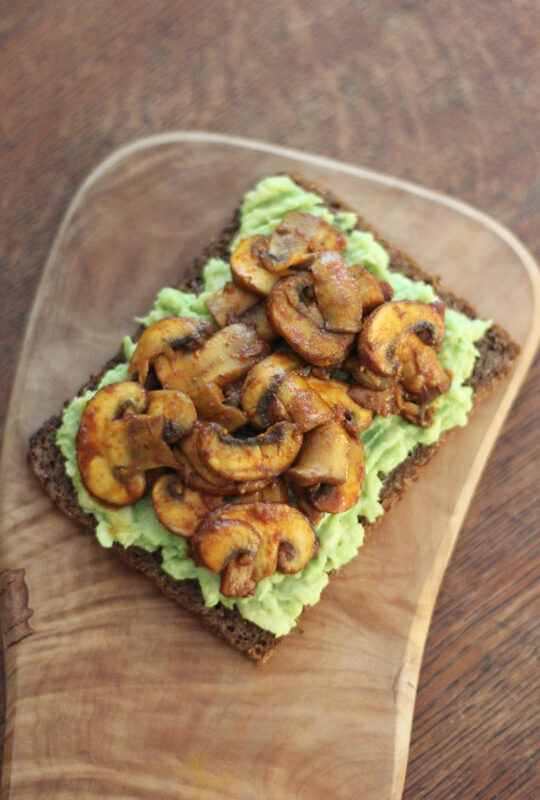 I have to admit avocado toast is not usually my top snack choice, but this is really appealing to me on a whole new savory snack level😍 So much flavor for one piece of bread, I love the mushroom addition! What a yummy idea, Harriet! Avo toast is my fave and I love trying new combos like this! I’m sure all those spices add so much flavor too! Hooray for avocado toast! <3 I need to go get mushrooms so I can try this out! 😀 Such a great addition! I tried this and used smokey paprika because I love it so much but the flavour of that stood out slightly instead of melding with the other flavours. I still enjoyed the recipe and will definitely try again with a sweet paprika. Thanks so much for sharing; it’s such a novel and hearty breakfast. Thank you! Ah I love smoked paprika too – I haven’t tried it with this before but I will check it out 🙂 I would definitely try it again with regular paprika too 🙂 let me know how it goes! O.M.G, that was so-so-sooo good! I used my home-made taco seasoning and added a dollop of sour cream on top to match the Mexican flavor profile. Thank you for sharing this wonderful idea! I tried this dish in February 2017 but used smokey paprika and the flavours didn’t quite gel. Today I finally cooked it again with sweet paprika and it was SENSATIONAL! I will definitely be cooking this for breakfast again and I certainly won’t be waiting another 15 months! 😆 Thanks so much for sharing the recipe, Harriet. Love it!